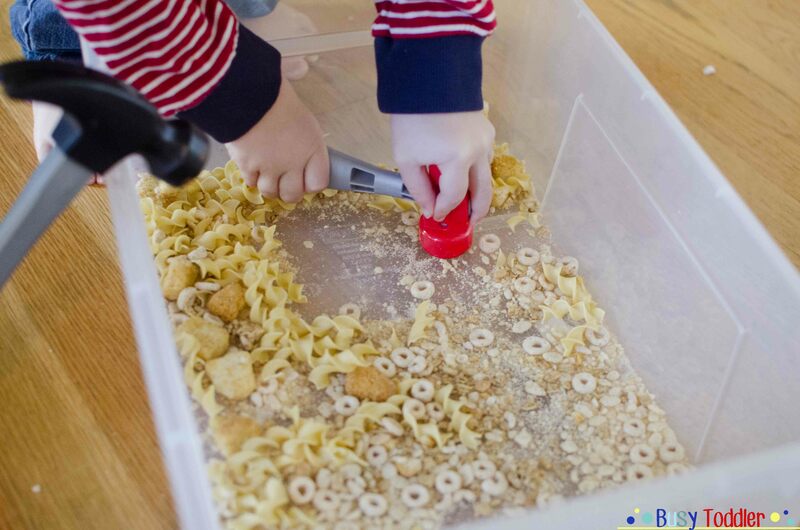 How to turn your messy pantry into a crunchy box toddler activity. 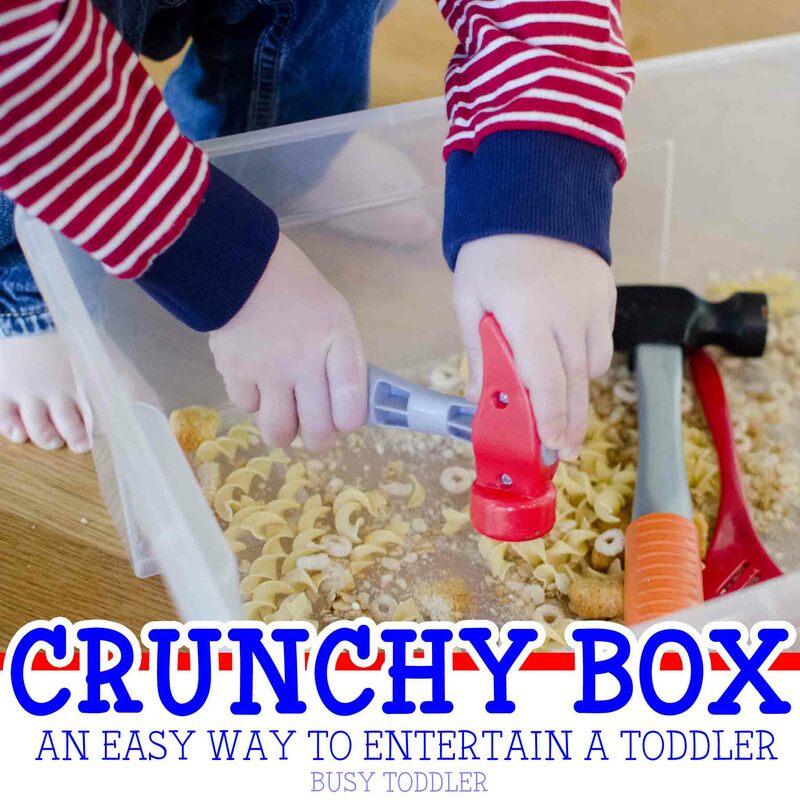 Crunchy Box for the win! This toddler activity definitely let me clean my pantry, use the stale food I was about to throw away, and keep my sweet boy, Sam, entertained. 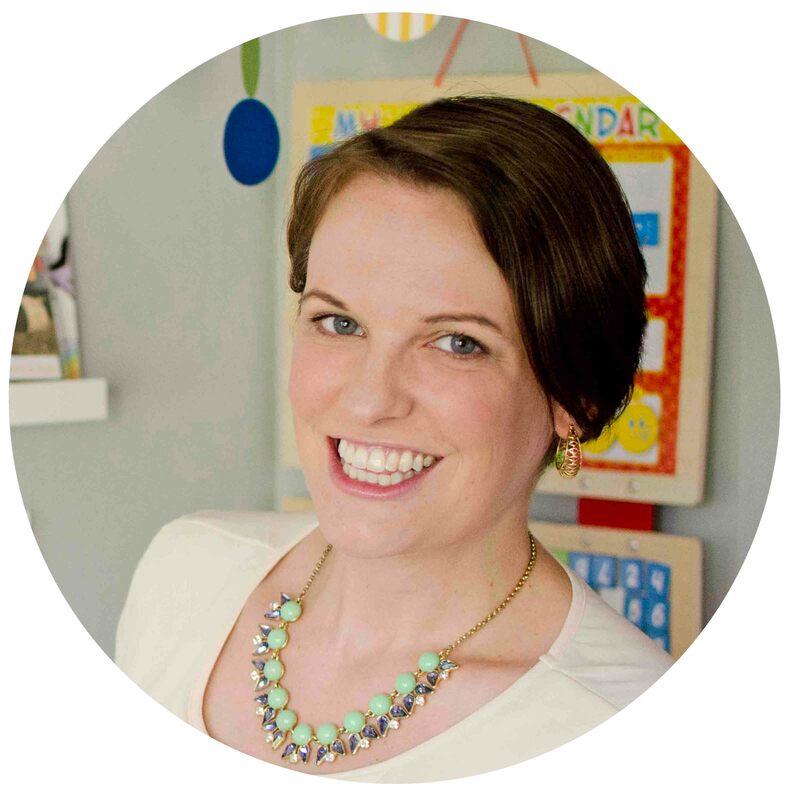 Um, Hi Crunchy Box, you are amazing and I’m thinking of having a 3rd kid just to name it after you (kidding-ish). 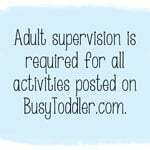 Sometimes the best toddler activities are the ones that happen by accident. My pantry had hit a real low point and was about to cave in on me. I needed to do a massive over haul but didn’t want to ditch my toddler with my phone (wink) so I could clean. I also didn’t want to commit nap time / union break time to this endeavor so as you can see my back was against the wall. Also, judge me not. You know nap time is precious time sent from Heaven and not to be used for organizing a pantry. 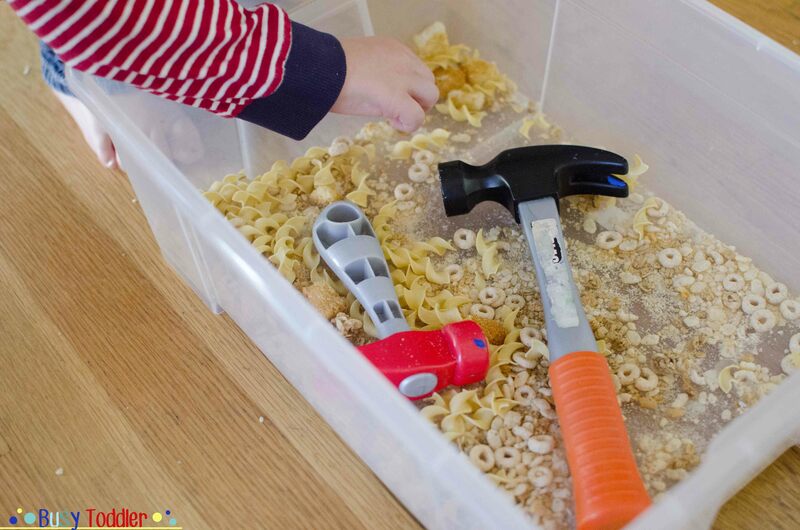 I pulled out one of our storage bins and started dumping in crunchy stale food that was headed for the trash: noodles, croutons, and a variety of cereal box end trails. I added in a few toddler hammers and let my toddler go at it. This was amazing. He pounded and smashed and pulverized the entire time I cleaned the pantry in one heck of a toddler activity. I love nothing more than a toddler activity that my son can do independently, affords me a minute to get a chore done, but keeps us close and laughing together. 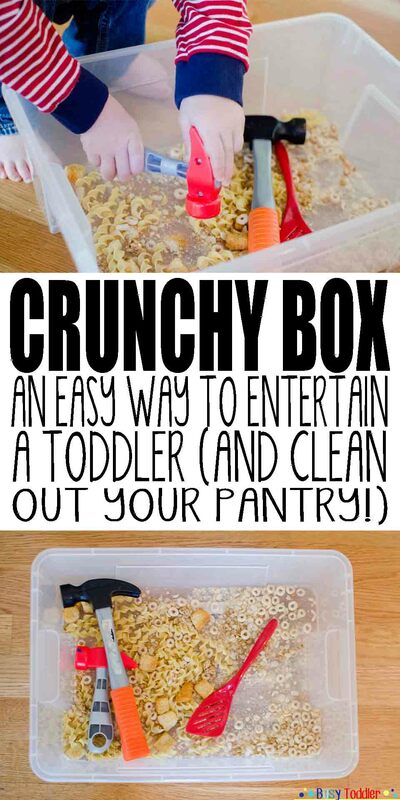 Crunchy Box – see you again the next time the pantry gets that bad (so sometime next week). Now THIS is a clever idea!! Would this encourage them to smash Chex and other food when it comes time to eat later on? Hi Hilary, Such a great question. I haven’t seen any negative side effects from this “game”. I think it’s similar to how my son knows not to pour his water cup at dinner even though playing in a water pouring station is his favorite game. XO!